Whether traveling alone or with the whole family, we're excited to provide clean, comfortable rooms after a long day of adventuring! Did you know we also provide camping or RV hook ups? All rooms and spots are on a first-come, first-serve basis, so make your reservations now! Enjoy one of our queen bed rooms here in the Soldier Meadows Lodge! They include access to our privately owned hot springs, laundry facilities, and FREE BREAKFAST! $70 per person, reservations recommended but walk-ins are welcome! This room is perfect for hunting buddies, father/son excursions, girls' trip, and the list goes on! Guests have access to our privately owned hot springs, laundry facilities and FREE BREAKFAST! $60 per person, reservations are recommended but walk-ins are welcome! 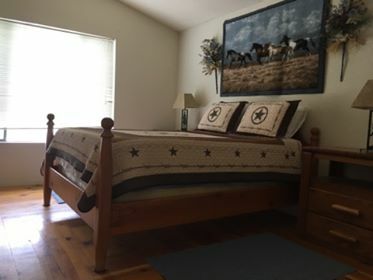 The Bunkhouse is perfect for "guys' trips" where they are just looking to get some sleep and get back out on the desert! It is just across from the main lodge with a beautiful view of the meadow. Guests have access to our privately owned hot springs, laundry facilities and FREE BREAKFAST! $40 per person, reservations are recommended but walk-ins are welcome! — Please visit our "Reservations" button to send us a message about your event! Soldier Meadows is pleased to offer two suites. Each includes it's own private bathroom, kitchenette, and sleeps four. This is ideal for families or those that would like to prepare their own meals. Guests have access to our privately owned hot springs, laundry facilities and FREE BREAKFAST! $175 per suite, reservations are recommended but walk-ins are welcome! We are happy to offer tent and trailer/RV camping. This provides access to our privately owned hot springs and laundry facilities. While you're here, come up to the Lodge to find out what's on the menu!